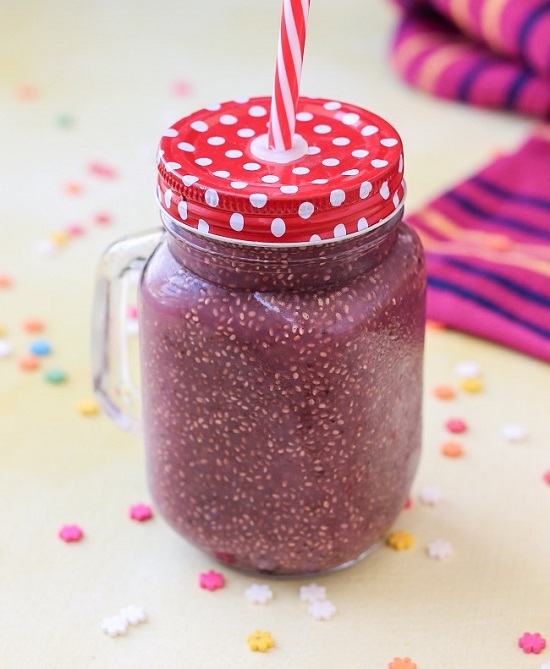 Pomegranate Chia Seed Drink is a healthy and nutritious drink. A Good start for a healthy day. I had lots of pomegranate stocked up in the fridge. 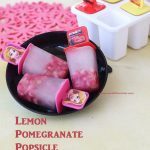 Simply was thinking out of making a recipe out of it. I settled with the Pomegranate Chia Seed drink. Chia seeds helps to keep us hydrateded and make us feel full. 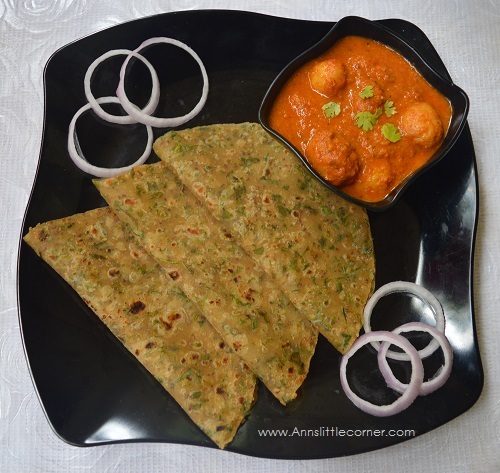 Reduces carving and also is rich in omega – 3. 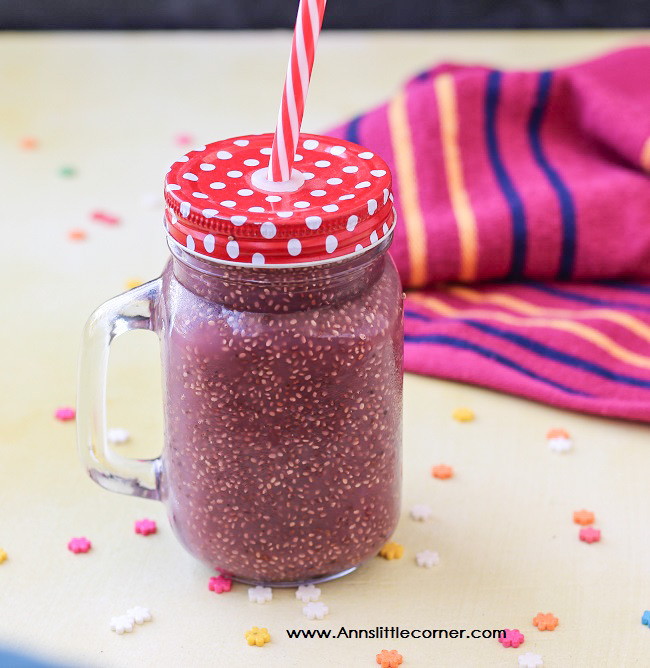 Both Chia seeds and Pomegranate combined together make an amazingly delicious and healthy drink. Checkout other textured drinks that can be enjoyed this summer. 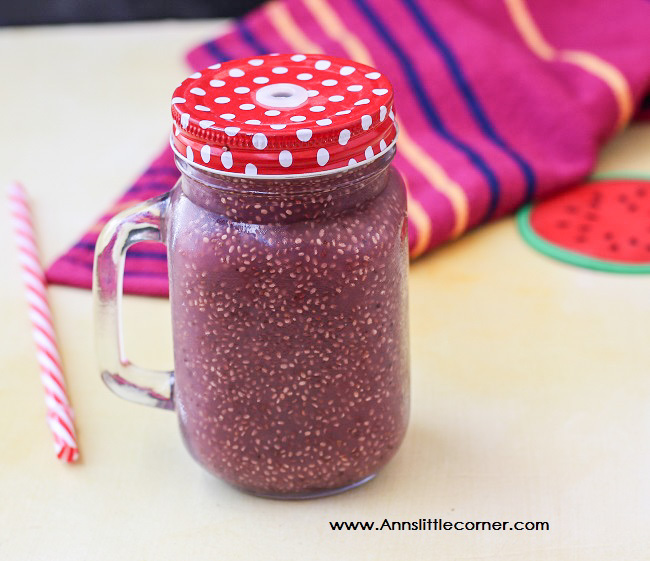 Pomegranate Chia Seed Drink is a healthy and Filling drink. Remove the seeds from pomegranate. Add them into a blender along with water and refined sugar. Strain them in a colander. Stir the chia seeds occasionally. The chia seeds would have expanded next morning. Enjoy the delicious Pomegranate Chia Seeds juice. Chia Seeds and Basil seeds are not the same. Chia seeds can also be soaked in water and then added with pomegranate juice. Chia seeds absorbs water in the ratio 1:10. Add the juice into a mason jar. Add in the chia seeds. Leave it in the refrigerator overnight. Stir the chia seeds occassionally. The chia seeds would have expanded next morning.